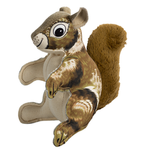 For a lasting playtime with your pup, you'll love our Critterz Canvas Squirrel Dog Toy by Happy Tails! If your smaller pup is looking for a wild play experience, our Critters Canvas Dog Toys by Happy Tails provide an engaging playtime that lasts! 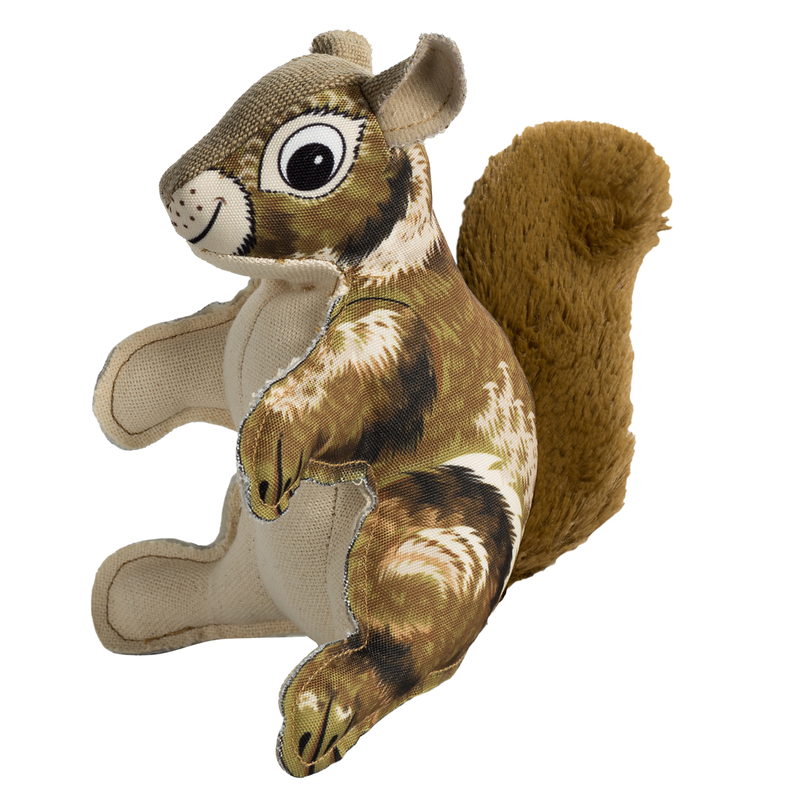 Our Squirrel features a fun printed design on strong canvas fabric that is durable for playtime but soft enough for cuddle time. The plush tail makes this toy easy for carrying and cuddling. Double stitching helps to strengthen the vulnerable areas of the dog toys with multiple rows of stitching. I called Baxter Boo with questions about a product. The representative was extremely knowledgeable, friendly, and helpful. It was a pleasure doing business with this company!